Discussion in 'Gaming Reviews' started by MilkyMalky, Jul 28, 2012. Dragon-based, free-roaming action adventure RPGs seemed to be 2 a penny these days. What with Skyrim receiving critical acclaim across the board and now Dragon’s Dogma on the scene, it seems a game’s not worth producing these days if it doesn’t have a vast medieval landscape to explore and a winged lizard with a massive chip on its shoulder to put to the sword. And whilst Dragon’s Dogma is a very different beast to Bethesda’s epic adventure, it was always going to be compared to Skyrim due to its central theme and launch date. What this reveiwer is happy to report though is that despite the initial comparisons, I very soon forgot all about being the Dragonborn and wandering through Tamriel in search of my winged nemesis Alduin. Now I am the Dragonforged, wandering through Gransys in search of my winged nemesis Grigori. Not that this should necessarily count against it. Its not like Bethesda invented the notion of small beginnings, overpowerful foe, a long journey to skill up and learn about your destiny, travel to some far off land to finally slay said foe, etc etc. That idea has been used in most RPGs since the genre’s inception. And it works in Dragon’s Dogma too, and what we need to remember is this is a Capcom game. No-one plays Street Fighter for Ryu’s back story, or Resident Evil to learn about the intricacies of Claire and Chris’ sibling relationship, its all about the gameplay that gets bought to the table. So to this game then. The gameplay is based on you levelling up in standard RPG fare through killing monsters and completing quests. But aside from this you also get to choose from a range of classes. In the early game this means choosing to either be a Fighter, Strider or Mage. Or essentially, Aragorn, Legolas or Gandalf if you will. Your fighters focus on melee fighting, striders have daggers and a bow, and mages cast spells. The class you choose affects which of your stats level up quicker. The option you choose is not fixed though, and fairly early on in the game you can change your class to try your hand at a different one. Also as you progress, more classes become available to you, including more specialised versions of the initial 3 classes, as well as 3 hybrid classes which are a mixture of any 2 of the 3 base classes. It may seem like 9 different classes is a little excessive for a lone hero to be able to adopt in this epic quest, and the main reason for this is because you are not alone. One of Dragon’s Dogma’s unique selling points is its Pawn mechanic. This is where you get to create your own sidekick to fight alongside you. Like your own character, you get to design your Pawn from the ground up including appearance, voice and personality. You also get to choose a class for your Pawn too, and the idea is that you choose a class that will compliment your own choice, so for example it might be good if you are Aragorn, to make sure you have a Gandalf watching your back or vice versa. But your party doesn’t stop there, you also have the opportunity to recruit 2 additional pawns that other people have created to support them. 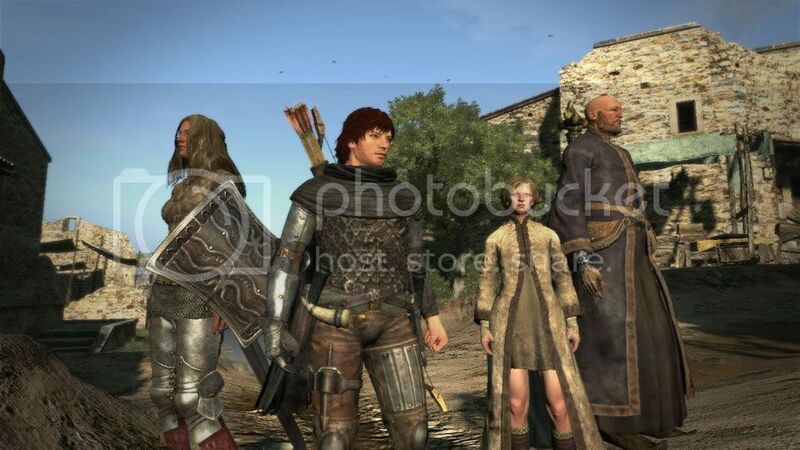 All 3 pawns in your party (including your own) are controlled by the computer, as Dragon’s Dogma remains firmly a single-player game. However the ability to exchange and utilise other people’s pawns is a nice twist on the co-operative multiplayer, and eliminates the risk of you joining up online with someone for co-op and them being – for want of a better phrase – a pillock, and hindering your progress. So you get the feeling of everyone being in it together, without the specific need for other people – and in that sense, its a refreshing change from Capcom. The depth of the game doesn’t stop there though, as you and your main pawn can be kitted out with various equipment, to boost various character stats, and the equipment itself can be enhanced by using various materials. There are also a plethora of items in the game with various effects, and many of these items can be combined together to create totally different items. You also have to balance a load mechanic as every item has a weight – a far cry from the non-sensical inventory systems Capcom have been known to implement *cough* pretty much every Resident Evil game *cough* - and makes you question what to carry and what not to. Add in an affinity system with key characters similar to Xenoblade Chronicles, and you start to realise that this is more than a hack and slash RPG. The world of Gransys is a large one. Not as large as Skyrim, but what is? The sense of scale is helped somewhat by the fact that unlike Skyrim you can’t fast-track to places you’ve already visited, if you want to go somewhere in Dragon’s Dogma, be ready for the journey. And a journey it will be because whilst you’re out and about, you’ll encounter a variety of enemies who have a distinct aversion to your party’s health and wellbeing. 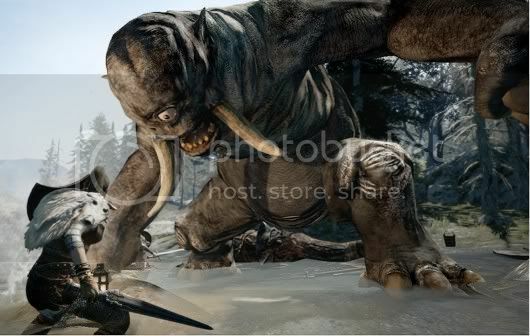 Enemies will range from lowly goblins and wolves to mahoosive cyclopses and griffins. Most enemies either have weak spots or are weak to certain magic types, so there’s normally a trick to defeating each, which your pawn will pick up over time. The game’s path essentially requires the party to complete various quests to progress the story, as well as providing numerous side-quests to do along the way. However certain quests are time-sensitive and cannot be done after certain quests / actions have been completed. Also decisions you make can also affect the outcome of certain quests. Unfortunately for the game, sometimes it is very unclear which quests are time-sensitive, and what level your character should be at to reasonably attempt it. So often you can find yourself pursuing a quest that is beyond your means, and dying repeatedly. You leave it for a while to come back to it later when you’ve levelled up a bit, but it could be that you’ve progressed another quest too far that means you can’t go back and do the quest your were having difficulty with. Its frustrating as well because the quest is lost forever, as is the reward and potential story filler. Insofar as the story – despite my panning of the general theme earlier – the plot, especially near then end does get very good, and I was pleasantly surprised by it. There’s more than just your story and destiny going on in Gransys, and the lives of the other key players in the plot can be very interesting. What I enjoyed most is in places you can directly change the outcome of certain events. On two separate occasions I could have stood by and watch women be killed, and if I had, they would have been and that would have been that. This game doesn’t force you to play a certain way and is built to serve differing decisions, none better than one of the key decisions you make later in the game. Visually this game is a bit of a mixed bag. The environments are stunning, but the character models and enemies look a bit basic when viewed from up close. However everything serves its purpose and looks clean enough. Some of the cutscenes are particularly impressive too. One of the things I did want to call out as well is that by the end of your adventure you may want to throttle any pawn that comes near you due to their repetitive, mind-numbing dialogue. Obviously in a game where there is consitently 3 people talking at you constantly, new conversation points are going to get thin on the ground, and after a while certain comments really begin to grate on you. No I’m not bothered that the duke hasn’t gravelled the road for us, no I’m not fascinated by the ocean, and yes there’s a structure over there, stop commenting on it surprisingly when we’ve been there 5 times already! But that main gripe aside this really is a game worth investing your time in. Its a deep RPG with room for personalisation and growth with enough depth to give you lots to consider as you fight your way through. The game doesn’t hold your hand and tell you where to go all the time which is a refreshing change, and you’ll get a real sense of achievement from beating a higher levelled enemy or section by working as a party well rather than being overlevelled. The game isn’t as big as Skyrim, but its still a meaty adventure, and worth your time and money. 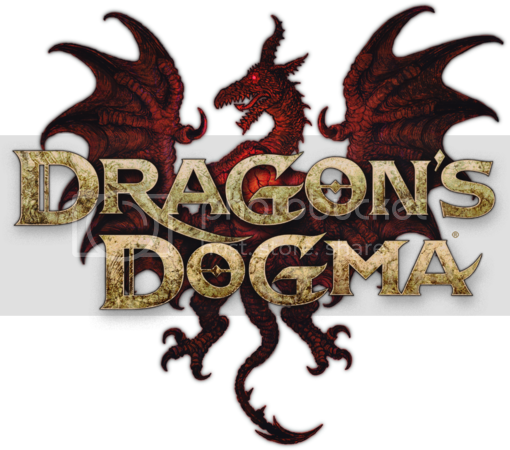 If you’re a fan of action RPG games, you could do much worse than Dragon’s Dogma. Great review that Milky! Very nicely written mate. Actually alot better in terms of how it was written than some 'proper' reviews. Can someone add it to our review list by using my tool please. Then can twitter about it. Shame I don't really get into games like this. I've tried. Really, I have. Buts its just not my thing. Started this last night and quite enjoyed it (thanks Hoo! ), might keep me off the Battlefield for a few nights. Nice one mate, if you have any questions then give me a shout!